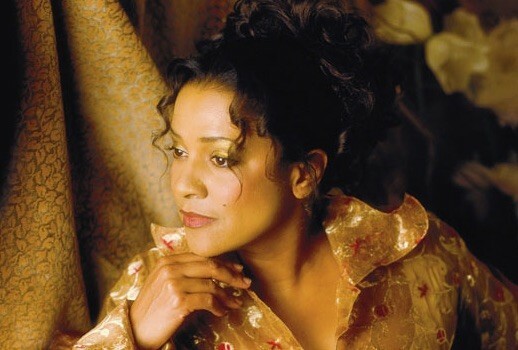 Kathleen Battle is back in the headlines returning to the Met this fall after more than 20 years, and “Trove Thursday” celebrates with a gala Falstaff by Verdi with Katia Ricciarelli, Battle, Christa Ludwig, Guillermo Sarabia and Wolfgang Brendel, conducted by Georg Solti. For some it may mean T.S. Eliot, but April conjures Shakespeare for most of us, and this month in particular is noteworthy as it marks both the 400th anniversary of his death as well as his 452nd birthday. Many commemorations are planned worldwide, and this long-scheduled Falstaff is the first of a pair of “Trove Thursday” Shakespeare opera presentations this month. Although I wasn’t at this performance, I did hear one by these same forces at Carnegie Hall on April 29, 1985 and it was the only occasion I managed to catch Ricciarelli live (she seemed to having a great time) and one of only two times I saw Ludwig, the other a Klytämnestra at the Met the year before. But it was Battle who stole the show with her heavenly Nannetta—just two months after her career-changing Semele. Did she ever do this role elsewhere? The Mexican-born baritone Sarabia (along with Ludwig) had previously collaborated with Solti on a new Falstaff at the Vienna Staatsoper in 1980. Sarabia had a brief, eclectic career with the Met, mostly performances on tour, and his final appearance in the house was as Jochanaan in a 1977 Salome which also featured Maralin Niska, Barbro Ericson and Phil Stark! He died just five months after these Falstaff performances at age 49. Falstaff finally returns to the Chicago Symphony later this month when Riccardo Muti concludes his Verdi-Shakespeare cycle. Three concert performances will be headed by two of the stars of the Met’s recent Don Pasquale, Ambrogio Maestri as Falstaff and Eleonora Buratto as Alice Ford. More operatic Shakespeare arrives here next week. Included in the series of “pirate” postings last summer that gave birth to this weekly podcast was another favorite Solti performance which remains available for listening. However, La Cieca has worked her magic and the 1973 Le Nozze di Figaro from Versailles with Solti leading Gundula Janowitz, Mirella Freni, Frederica von Stade, Gabriel Bacquie and José van Dam can now also be downloaded, along with last week’s Bluebeard’s Castle, the complete original-cast Follies and all previous “Trove Thursday” fare from iTunes or via any RSS reader.